We've known for while that Microsoft is gearing up to launch an all-new disc-less Xbox One, similar to the Xbox One S variant available at the moment. Codenamed Xbox Maverick, the console will purportedly only run digital games bought from the built-in store, or accessed via a streaming service à la Google Stadia. According to a new report from Windows Central, the so-called Xbox One S All-Digital Edition will launch worldwide on May 7, 2019. That means you'll be able to buy the new console a month before the E3 conference, which runs June 11 – 14 2019, where Microsoft is tipped to unveil the future of its Xbox gaming platform. Sony PS5 or Xbox Two: which will win the next-gen console war? 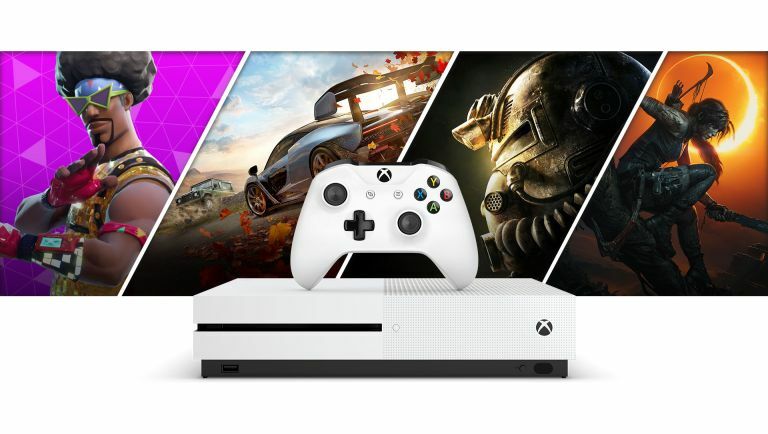 The Xbox One S All-Digital Edition is widely-tipped to ship with some titles preinstalled, with customers able to pick from a range of games during the online check-out process. It's unclear exactly how this will work when buying the new console in high street stores. Microsoft first unveiled its project xCloud game streaming service last October, although details were scarce. The Redmond-based company is expected to reveal more details about the service, which lets you play from a vast library of titles for a set monthly fee – similar to what Netflix already offers with TV shows and movies, at E3. As such, it seems very unlikely the Xbox One S All-Digital Edition will launch with built-in streaming on May 7, 2019. Earlier this week, Google unveiled its all-new streaming play, dubbed Stadia. The service, which is closely tied into YouTube, allows players to play triple-A titles in 4K Ultra HD quality at 60 frames-per-second in the Google Chrome web browser on any desktop or laptop, Android smartphone, tablet of Chromecast Ultra HDMI dongle. Following the Google keynote, Xbox boss Phil Spencer purportedly sent an email to his team that praised the implementation of YouTube in the Stadia service. However, it ended by stating: "there has been really good work to get us to the position where we are poised to compete for 2 billion gamers across the planet. Google went big today and we have a couple of months until E3 when we will go big." In terms of design, we expect the All-Digital Edition to look exactly like the Xbox One S – albeit without an eject button and disc drive. And don't panic if you're in the market to upgrade your Xbox, but have an extensive library of physical discs – Microsoft is purportedly set to launch a new Microsoft a "disc-to-digital" scheme that lets you trade-in physical media for digital downloads. The upgrades are coming... are you ready?